BESI builds its courses from a solid foundation based on years of practical experience in the field, research, technology, and laboratory analysis conducted by industry experts providing proven results. The courses offered through the institute are, by design, structured for you to become an expert in the construction industry. 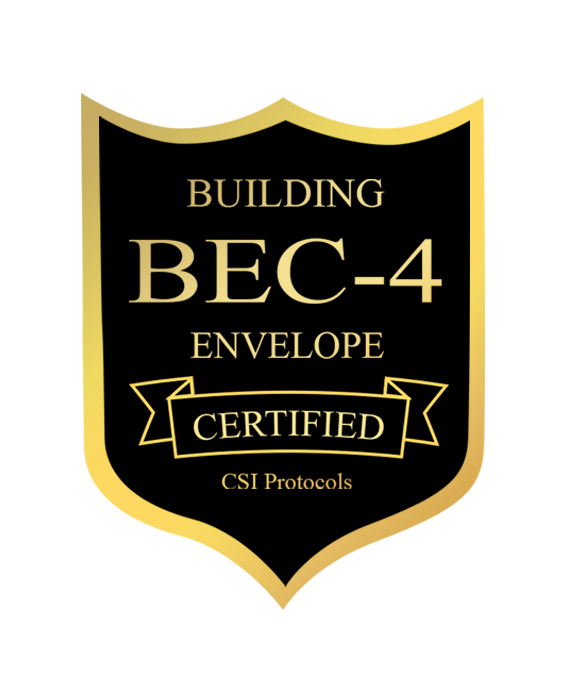 Please note:These Certification Programs are being offered through the Building Envelope Science Institute. Each designation requires the successful completion of a comprehensive examination based on a core body of knowledge presented in the course curriculum and other referenced sources. This course is a combined course of BET-1 and BEC-2 together at a reduced price. Include a one-year BESI membership. 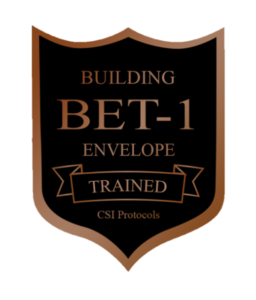 This Basic course introduces the “holistic” approach of bringing together all the materials and methods of the components of the building to form one cohesive unit, free of leaks and designed for long-term performance integrity. To understand these components and systems can help in all aspects of building construction, and may aid in reducing future litigation cases. These systems consist of roofing, cladding, joints and sealants, doors and windows, and above-grade waterproofing. Includes one year of BESI membership. This presentation will take the participants into the field through a highly-detailed PowerPoint presentation. The purpose of this course is to instruct the student in the building envelope and the construction systems, including inspections and the testing of them. This course exposes many hidden areas of building forensics and shows how CSI protocols can ensure limited mold growth and protection of the IAQ. Other topics consist of life cycles of the building, writing scopes of work and remedial action plans. Course certifies pre-qualified individuals for training in building envelope investigations including, but not limited to, moisture analysis, EIFS inspections, elastomeric coatings, and construction industry standards. Pre-requisites: Completion of BEC-2 and over five (5) years experience. 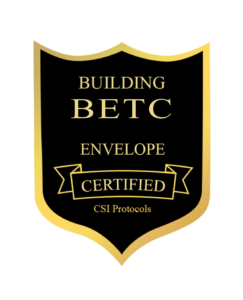 Course certifies pre-qualified individuals for Master training in building envelope forensics including analysis of building envelope construction and failure analysis of building components. Pre-requisites: Completion of BEC-3 and over ten (10) years experience. 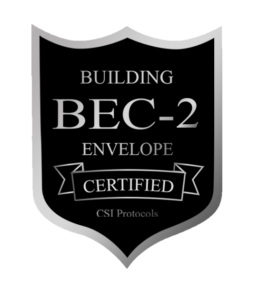 Course certifies pre-qualified individuals for Building Envelope Consultant designation, which is the highest certification in building envelope sciences. Pre-requisites: Completion of BEC-4 and state licensed construction professional (i.e. contractor, architect, engineer, etc.) with over twenty (20) years experience in the construction industry. The Building Envelope Water Intrusion – Part 1 Course provides contractors, engineers, architects, mold assessors, mold remediators, home inspectors and other construction professionals with valuable information and insight into water intrusion risks and concerns within the building exterior shell (envelope). Water intrusion into homes and buildings is a major cause of mold problems, structural damage and deterioration; and is one of the leading causes of litigation with building structures. The course shares decades of experience regarding water intrusion problems, remediation and prevention. Additionally, it provides relevant, much needed continuing education for the construction industry and construction related professionals. Includes one year of membership, a $200.00 value.